Roberto will be teaching a YoungArts Masterclass to finalists from the design arts on 17FEB2014 at the YoungArts campus headquartered in Miami’s landmark Bacardi Tower and Museum buildings in Midtown Miami. 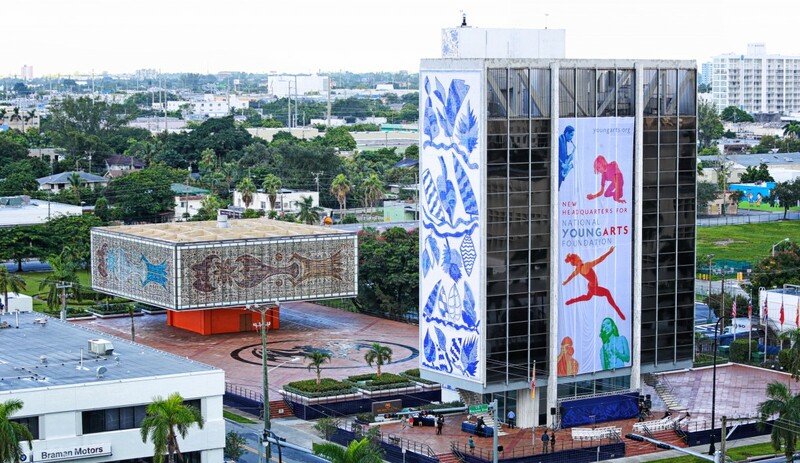 YoungArts identifies and supports the next generation of artists, and contributes to the cultural vitality of the nation by investing in the artistic development of talented young artists in the literary, performing, visual and design arts. The National YoungArts Foundation (formerly known as the National Foundation for Advancement in the Arts) was established in 1981 by Lin and Ted Arison to identify and support the next generation of artists, and to contribute to the cultural vitality of the nation by investing in the artistic development of talented young artists in the literary, performing, visual and design arts. YoungArts provides emerging artists with life-changing experiences with renowned mentors, access to significant scholarships, national recognition, and other opportunities throughout their careers to help ensure that the nation’s most outstanding emerging artists are encouraged to pursue careers in the arts. Read more in the YoungArts website.